If you are planning to sell in Middle Eastern countries, your customer support has to be in Arabic as English is still not the preferred language of communication for the majority of the population, even the affluent people. The Arabs tend to buy from companies that speak their language. Mobile phone companies like Nokia and Blackberry developed strong loyal consumer base in the region by providing superior Arabic language support before Apple and Android. Any business willing to take advantage of new opportunities in thriving economies of oil-rich countries like UAE, Qatar, Kuwait, Bahrain, Abu Dhabi, Saudi Arabia etc. should consider language a top priority for winning new customers. At LiveSalesman, we offer Arabic language customer and sales support, delivered by natives with Arabic as their mother tongue. Delivered from our office India, which has a significant Arabic-speaking population, the majority of the people in our Arabic team have worked and lived in the Middle East, they have a very good understanding of local cultural nuances and consumer behaviour. They all have a firm grasp of written and spoken English so our clients get the advantage of bilingual support in Arabic and English with the same people. The quality team for our Arabic Support is also Arabic speaking to ensure that we consistently meet your standards. We offer Arabic call center solutions for Customer Support, Sales, Social Media Management and Support, Cross-sell and Upsell, Order Management, Tech Support, Retention, Phone Answering, Fraud Prevention, and Chargeback Management. We deliver our Arabic language customer and sales support from India, which has a significant Arabic-speaking population with Arabic as their mother tongue. All our Arabic call center executives have studied in Arabic as school children and have also gone on to get college degrees in Arabic so they so they are guaranteed to have a good understanding of the latest language skills, evolving words and expressions in use. They have a firm grasp on both written and spoken Arabic and English. Most of our Arabic call center executives have also lived and worked in the Arab countries such as UAE, Abu Dhabi, Qatar, Bahrain, Kuwait and Saudi Arabia or have travelled to these countries so they have a decent exposure to how things function in the Arab world. Our Arabic language call center agents are well versed with both formal and Modern standard forms of the Arabic language. The classic formal style is the used in Quran and is taught in schools and Modern standard Arabic is currently the only official form of Arabic, used in most written documents as well as informal spoken occasions, such as lectures and news broadcast. That said, spoken Arabic varies immensely from one country to another in MENA region so much so that speaking with a Saudi national requires a completely different level of understanding from when you speak with a customer from Morocco. Our Arabic call center agents understand the colloquial differences very well and are able to speak in different dialects- Maghrebi, Levantine, Iraqi, Egyptian, Sudanese, Saudi, Yemeni, Hejazi to name a few. Most of our Arabic call center executives are elite Muslims, many of whom proudly claim that they can trace their ancestry to the Arabs. Lots of them also have extensively travelled and worked in UAE, Qatar, Abu Dhabi, Bahrain, Saudi Arabia etc. and therefore have an unparalleled understanding of the Arab culture and traits and characteristics of the Arab consumers. Our Arabic language call center agents not only communicate your product, service or message in Arabic but also make it linguistically and culturally appropriate to your target market. So unlike translators or automated translation service that provide word-for-word translation and have a passing familiarity with the Arab’s culture, our Arabic language call center agents are able to explain the unique contest of the conversation. A successful localized product or service is one that appears to have been developed within the local culture and is well accepted by its audience- a factor that can make all the difference in your Middle Eastern business venture and can only be accomplished by people who truly understand the Arab world’s linguists and cultural nuances. Most Saudi Arabia call centers are not 24×7 and do not have specialized teams for Live Chat, Phone and E-mail support. In fact, the technical expertise and business/sales acumen that LiveSalesman offers is difficult to match by any Middle Eastern call center. In past, a lot of our clients have migrated their UAE Call Centers (Call center based in Dubai and Abu Dhabi) to LiveSalesman for the quality of service we deliver and the flexibility we offer. A very satisfied client moved his Saudi Arabia customer services and tech support team to LiveSalesman because the product expertise and customer experience LiveSalesman offers is unsurpassed. 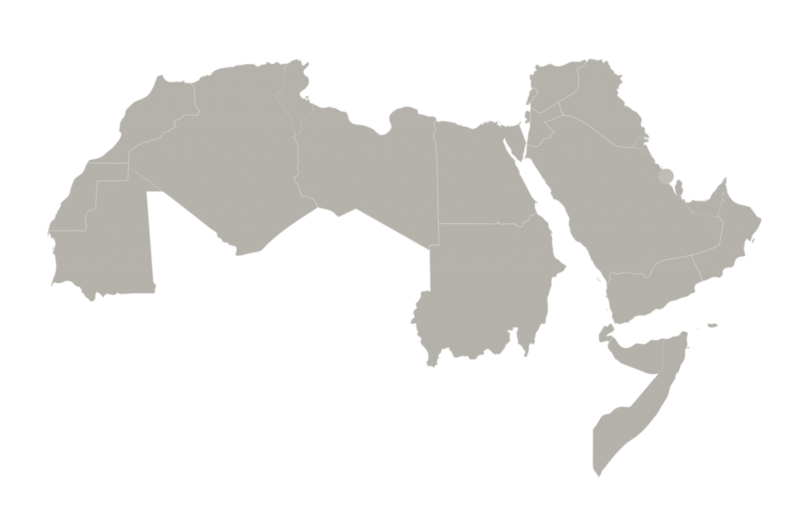 A client who ran a call center in Egypt is now very happy outsourcing their customer services and tech support to LiveSalesman as they find our agents very close to the Middle Eastern culture. At the same time, our agents have better work ethics and offer a better value for money when compared with an Alexandria or Cairo Call centers. They aren’t accustomed to paying for products they haven’t seen or touched in person. Customer support is key here. Allowing your Arab customers to instantly speak or chat with a customer support executive who can speak their language provides them with a sense of security and assurance in buying online. Our Arabic customer support executives understand this very well and are willing to go the extra mile in supporting your customers with their questions, doubts or any other assistance they may seek. Most of the Arab consumers are very religious. Common greetings and phrases include references to God. To do business successfully in the Middle East religion can’t be ignored. It helps a great deal to connect with Arab consumers if you refer to God or the Holy book (Quran) while conversing with them. This makes them feel that you respect and honour their religion. Also, they tend to trust your word more if swear by God or the Holy Book (no false swears though!). Similarly, the Arabs love to give blessings in their conversations. It is courteous to express your gratitude for the same. Exposure to the external world is still limited for a lot of Arabs. The fact that rules and regulations vary from one country to another and are certainly not the same as those in the Middle East is not easily understood and accepted by a lot of Arab consumers. This can be particularly challenging for international businesses who are shipping from abroad to the Middle East and may have to explain custom or shipping regulations to their Arab consumers. Our Arabic call center executives possess the necessary skills and temperament to deal with such situations in a way that it does not upset your customers. Bargaining is an essential part of the Middle Eastern culture. There is a strong sense of pride and dignity in being able to negotiate better deals. Over the years, our Arabic customer support executives have learnt the art of negotiation with Middle Eastern customers, in a way that your consumers walk away with a sense of special treatment in securing an optimal deal- a deal that is still in the best interest of your business! An important aspect of Arab culture is shame and honour. Brands that interact with customers on social media platforms like Facebook in the region must not do or say anything on the public forum that could bring shame to the customer. On the other hand, doing things that bring honour to a customer like rewarding them could help increase a business’s long-term success. Buying is very social among Arabs. Their buying decision depends more on what their friends recommend rather than the features of a product. One bad experience could easily go viral and impact your sales negatively. That’s why we strive to consistently deliver superior customer experiences—before, during and after the sale. You not only get the increased share of the wallet but get more sales by word of mouth. East’s online commerce market is predicted to reach $15 billion by 2015. In UAE it is growing at a rate of over 20% annually. Majority of online shopping remains cross-border with international merchants. Cross-border e-commerce is growing exponentially with more than 70% year on year growth. In 2011, the UAE had the highest fashion clothing sales per capita per annum in the developing world, at $785. This success is primarily credited to high disposable income and enormous fashion awareness.